Yesterday was just an AWESOME day. 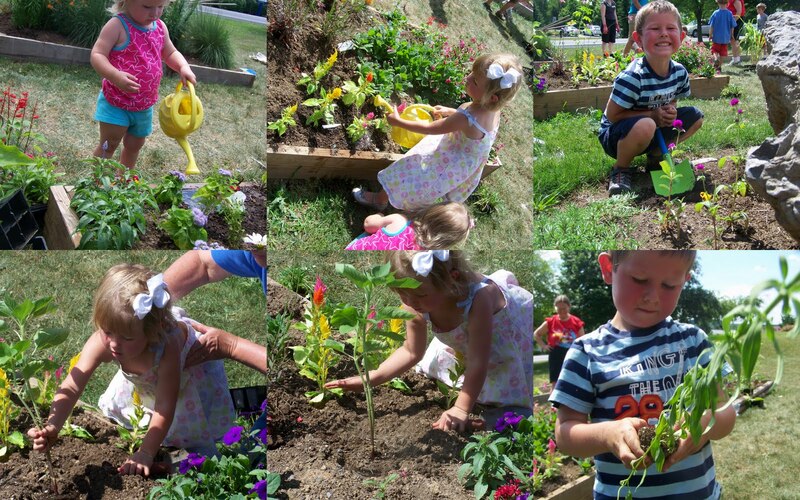 The kids joined the library's garden club and were allowed to plant flowers and veggies where ever they wanted...they were tickled pink. And I think that Guy's picture is going to be in the newspaper. I've gotta check. After that, a friend of ours gave us a ton of free plants. I transplanted them into our yard, which took most of the afternoon. What a huge blessings for us. I'm very grateful. My favorite is the elephant ear hostas, which are the blue-ish broadleaved plants. I love to plant things. I love to sweat (which I did most of the day yesterday). And that is why I am dedicating this post to the Happiness Project. LYNETTE, you cutie! There you are! Just contact Michelle's Charm World with your address, etc. 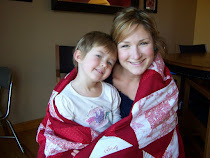 Also of note: Holly over at Rope 'Em In is doing 30 Days for the Family Proclamation this summer with her children. Meander on over there and show her some blog love! Sorry about the randomness of this post. Summer is crazy busy with outside things calling my attention. So much going on. So little time to tell you about all of it! I hope you are all having a very wonderful Summer! I love Hostas too. Cute pics of the kids. Thank you =) I'm so excited lol! Now I'll just have to keep it out of Girly- girl's hands lol! Hosta are gorgeous. Love them!! I can't wait to own my own place to plant fun stuff! ohmy goodness, J...just look at those flowers/plants! Amazing. Your yard will have to be featured in a Tour of Homes this summer/fall. And hooray for the winner. She will love that necklace. You do have the funnest blog! outside is the place to be in summer. I just returned from our community pool and a water aerobics class. I feel so alive and healthy. go for it! I love looking at plant OTHER PEOPLE have planted. I think that comes from "forced" garden labor as a child. ;) Looks beautiful! Lovely photos of the children with the flowers. Happy day. Great pictures. I wish I had a garden. love the photos of the kiddos. The library garden club sounds like a cool deal! My kids would LOVE that!